Perennial kale is one of our greatest obsessions and after starting off with some Daubenton, variegated Daubenton ‘Panache’ and some Taunton Deane kales, we have been busy gathering other specimens for our perennial brassica botanical garden. We have added five more perennial brassicas to our collection over the last two years. 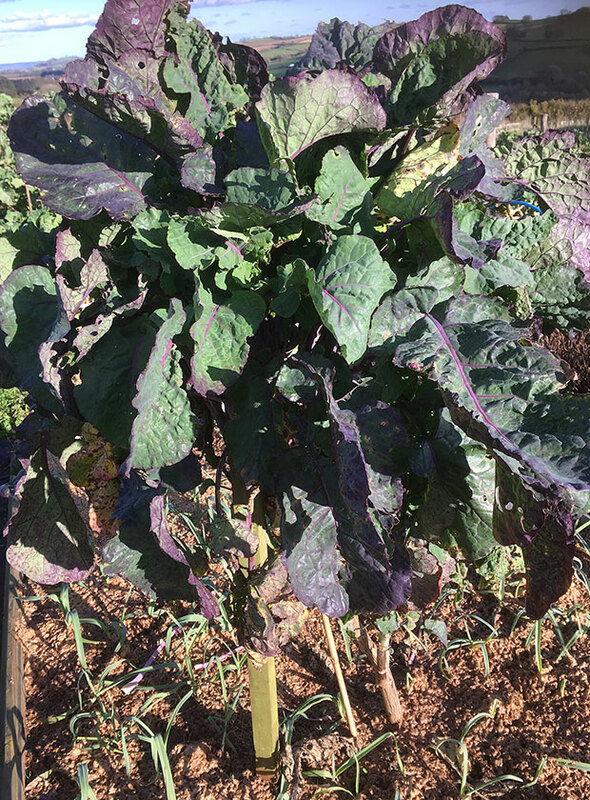 Purple Tree Collards, Spis Bladene, Egloskerry Kale, Carole Wellwood’s kale and an undetermined sort of thousand headed kale. 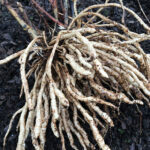 Spis Bladene came from Alison Tindale at The Backyard Larder and she says ‘This a kale that I have yet to grow to maturity but I have read that it has good flavour, and good perennial tendencies, even after flowering. Of unknown origin, it doesn’t really have a name but has become known as Spis bladene (Danish for ‘eat the leaves’) as that was the instruction written on the packet sent to the Heritage Seed Library by a donor from Denmark’. So we will be growing that one on and observing what it does. Egloskerry perennial kale is one that came to us from a chap in Egloskerry, near Launceston, Cornwall. In the middle of a talk we were giving he jumped up, shot out of the building and returned clutching a great clump of perennial kale, claiming that it was an old perennial Cornish kale from the Launceston region. No idea if this is true, but it has certainly lived up to expectations, having been growing happily now for two years. 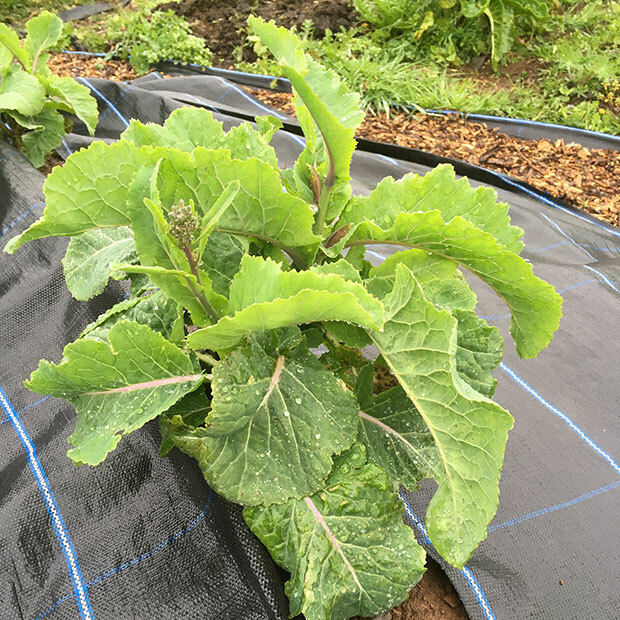 It looks similar in nature to a Daubenton kale but has a more compact and upright habit, and no sign of flowering so far. 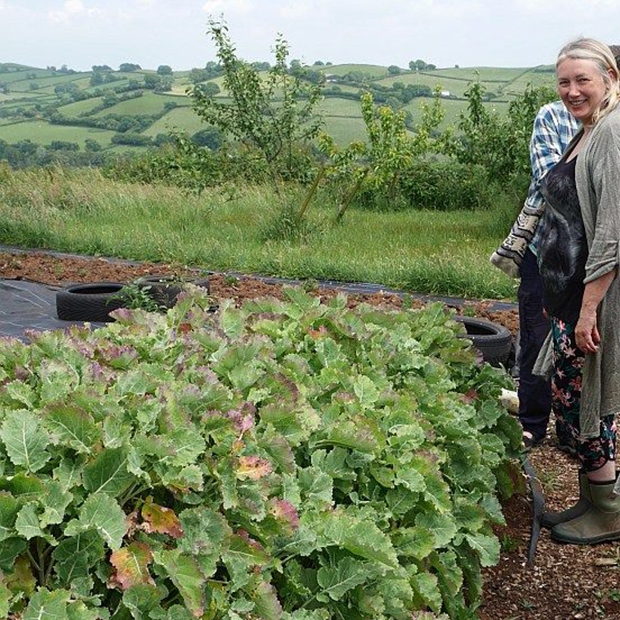 Carole Wellwood’s kale, is one we have named ourselves, given to us by botanist Carole Wellwood! Alleged to have originated in Ken Fern’s garden. 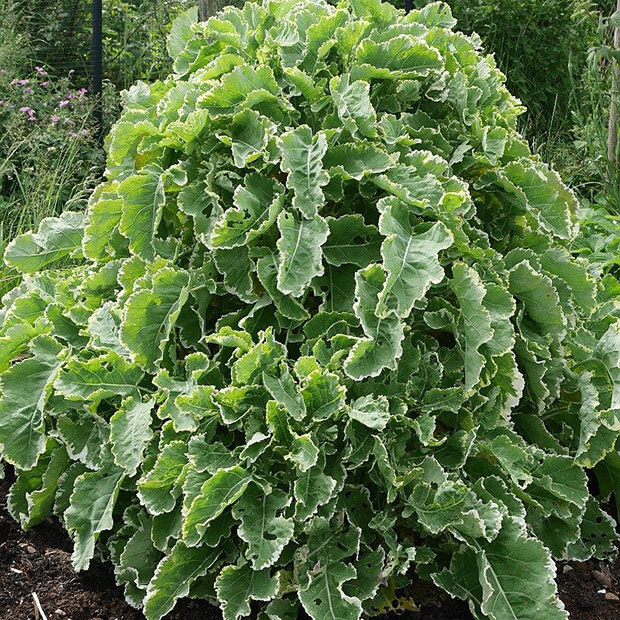 It is more like a large loose leafed sprawling cabbage, and has delicious leaves. It has flowered, but continues to grow after being cut back a little bit. We can’t think what else to call it, as it is impossible to identify it exactly. Our other perennial kale of unknown origin, which we shall call ‘Thousand headed Kale’ came to us from a friend’s allotment. He was giving up his patch and leaving it behind, so of course we got the secateurs out and made lots of cuttings right away. Our Taunton Deane kales have turned into the most enormous specimens, almost 3m wide as they approach their fourth year. The demand for perennial kale cuttings and plants has gone a little bit crazy these last few months. So we are busy planting out more stock plants for propagating material to try and meet demand. We think it is brilliant that there has been such a surge in interest and are doing our best to keep up. Carole Wellwood’s kale named after botanist Carole Wellwood and thought to have originated from Ken Fern’s garden. A four year old Taunton Deane perennial kale, now 3m wide with a thick tree like stems, still producing an abundance of tasty leaves. One of our striking variegated Daubenton perennial kales, also known as ‘Panache’.